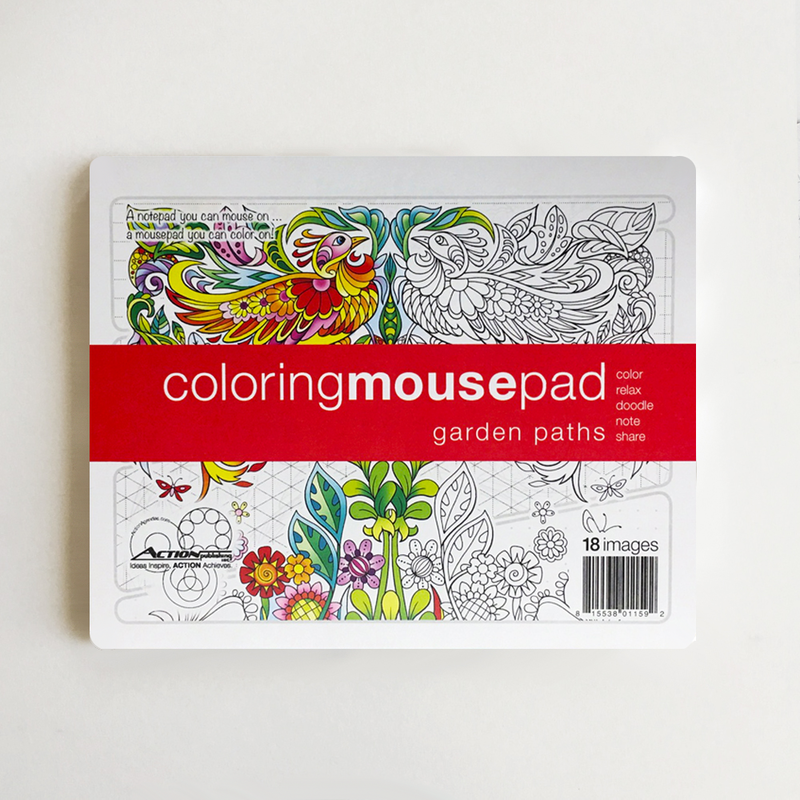 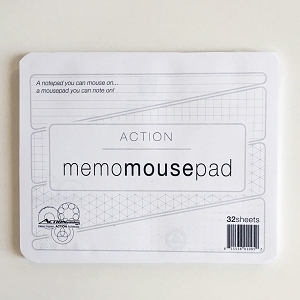 The Action Garden Paths Coloring Mouse Pad Notepad is a wonderfully useful little desk companion. 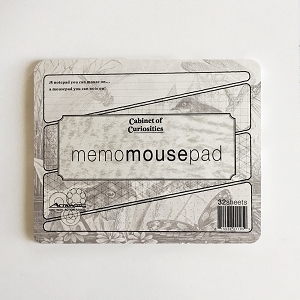 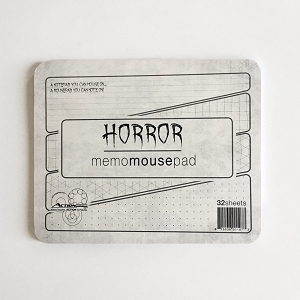 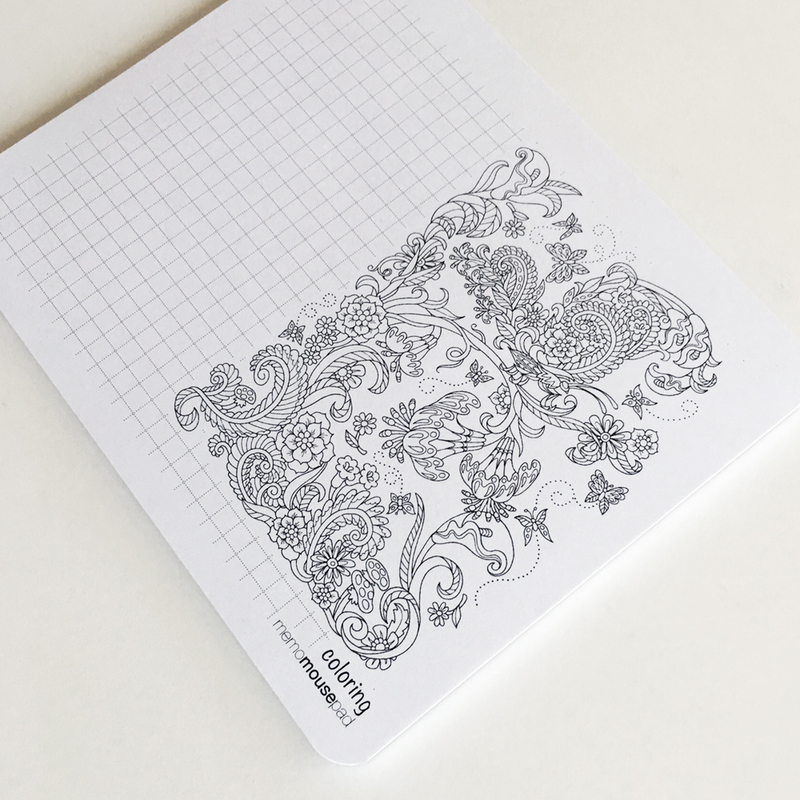 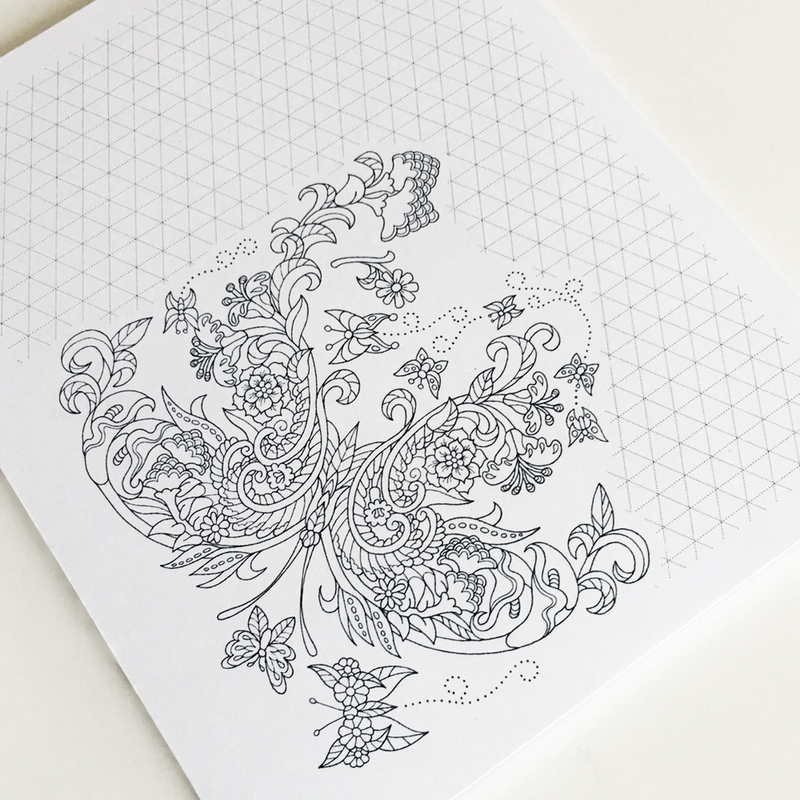 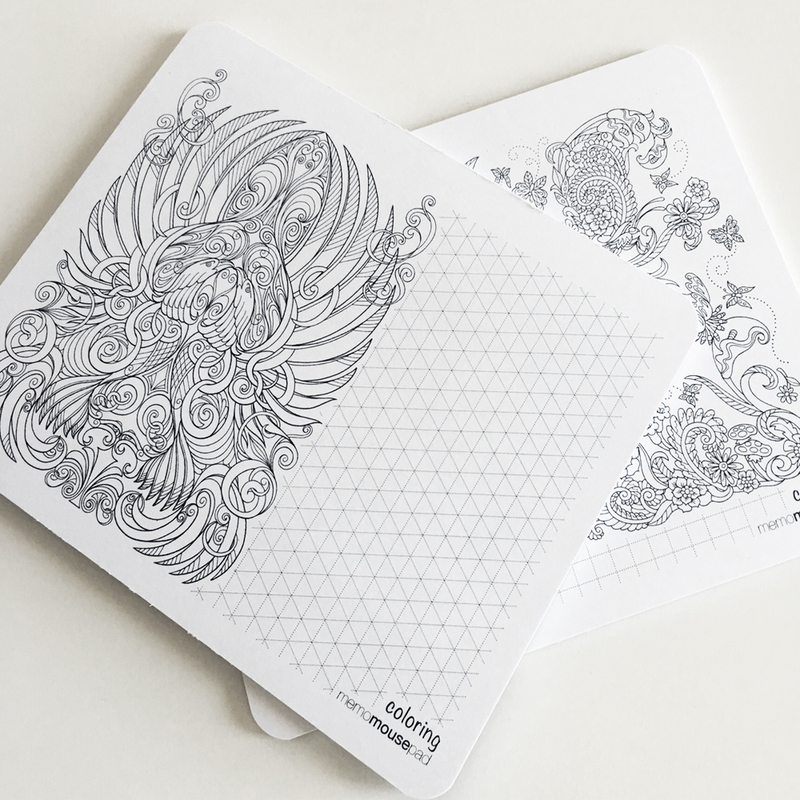 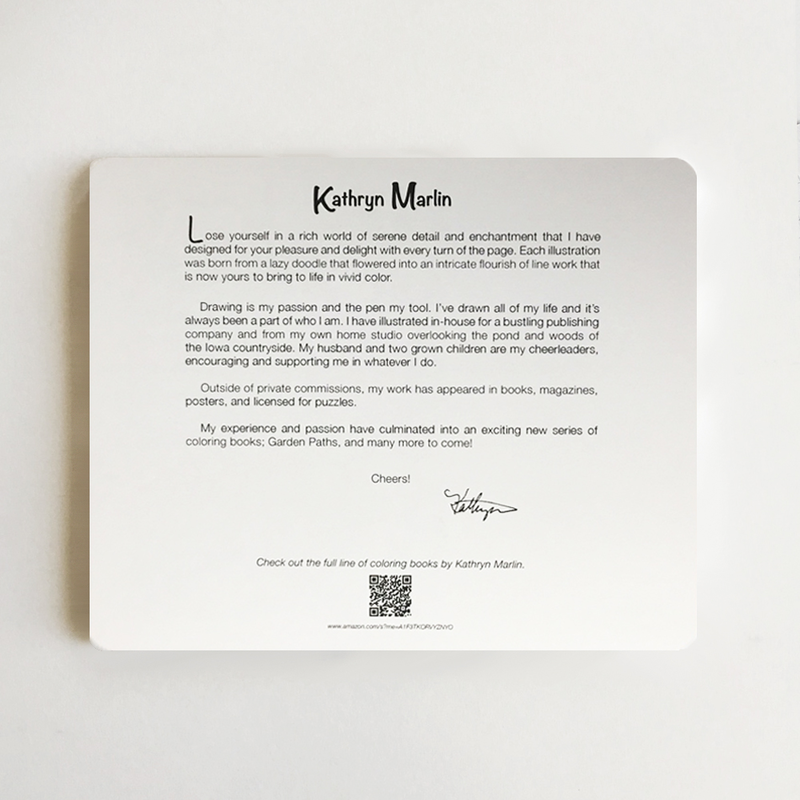 Each Garden Paths Paper Mousepad is composed of alternating sheets with Grid, Line, Isometric and Dots for doodling or note taking and complemented with a colorable illustration by Kathryn Marlin. 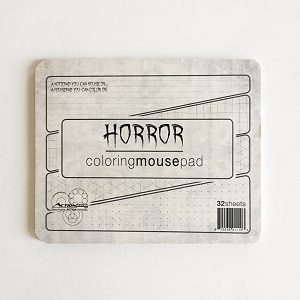 Also equipped with glued top and bottom edges to prevent pages from curling, as well as peel and stick adhesive on back to keep your mousepad notebook in place.